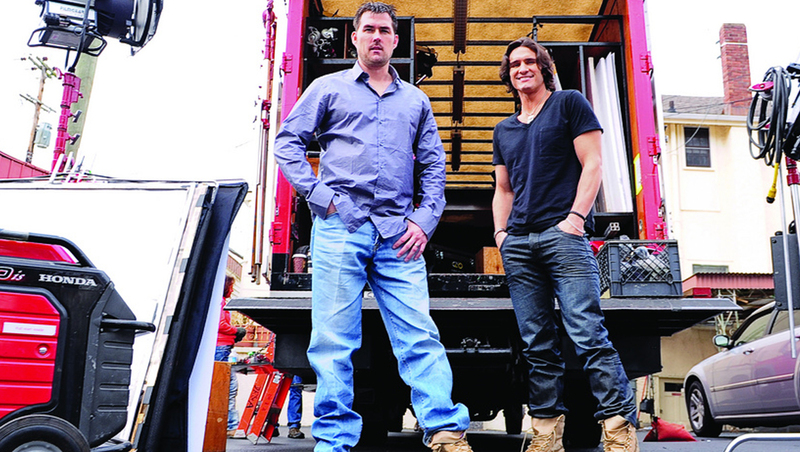 Marcus Luttrell and Joe Nichols IN THEIR BOOTS, originally uploaded by The Boot Campaign. Boots on for the troops behind-the-scenes of the shoot for Joe Nichol’s new music video “The Shape I’m In”, featuring Marcus Luttrell, co-founder of The Lone Survivor Foundation. These men want YOU to get your boots on to help our wounded warriors when they come back! You can join The Boot Campaign by purchasing your own pair of our branded custom military boots. Net profits go to our favored charities that care for our returning troops and their families. God bless them all. Marcus, thanks for your service and Joe, thank you for you voice and talent. Marcus I had the privilege of hearing your story in person at a company conference in Houston Texas. It was an absolute honor to have had the opportunity to listen to your experience. I have a new understanding after that day of the definition of courage and brotherhood shared by our military. I will never forget what you shared with us that day as it has left a permanent impression on my heart and an everlasting respect for those who fight for our freedom. Thank you for your service and the work you continue to do for our veterans! Right on Michael Reece! I got to see Mr Luttrell at the Patriot Tour last night. Not a dry eye in the house. Ditto to all you said in your post. 1) Ive sighen up foa a 5k today, 2) have joined a Foundattion that is a Partner to LSF, , my call to action. 3) I’m reading book signed my Mama Lee. 4) I will tell the next active service member I see in uniform to keep “putting foot to tail for God and Country”. So many life lessons last night….wow I forget the line in the sand, Goal setting , too brilliant. Thank You Mr. Lutrell for doing Gods work. God Speed. of another level of Americans and men. Mr. Luttrell, I had the honor of hearing you this evening for the Patriot Tour in Indianapolis. A local radio station gave me the gold circle tix (4th row) to meet you since I could not afford those tix. There was a miscommunication about the “meet and greet” and was not able to meet you. As my wife and I walked out to my car I saw you and decided to approach you to let you know that as a USN Presidential Honor Guard I took part in over 500 funerals to honor great american hero’s like yourself. I want to apologize to you. Every since I heard about operation Red Wing I wanted to meet you. But immediately after you sharing with all of us your story was not the right time. It was selfish on my part and I just want to say that I sincerely apologize for not giving you some space. The event was very moving to hear the sacrifices that so many have given to our great nation. Thank you for your and all veterans commitment to this country. It will never be forgotten.